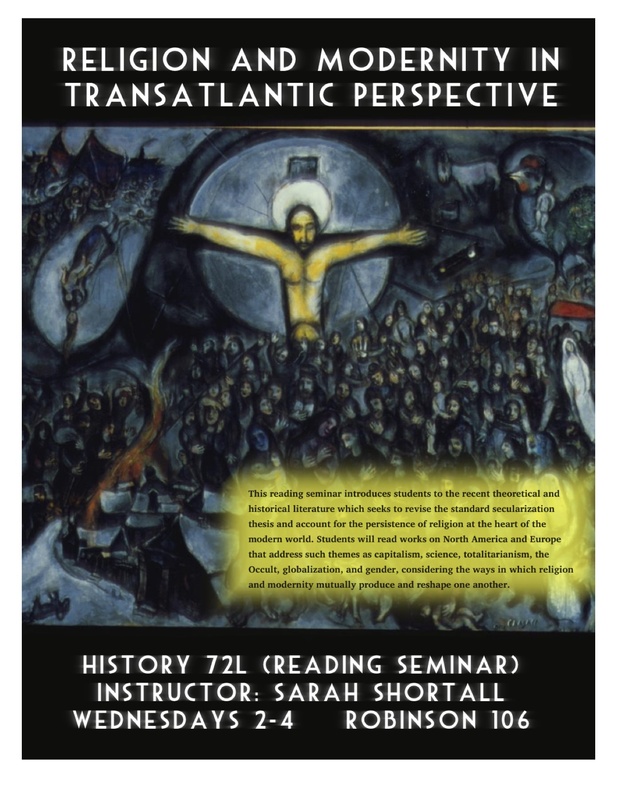 I was awarded a competitive instructorship from the Harvard History Department to teach this course, which I designed to introduce students to the major themes in the history of religion’s place in the modern world, including recent critical revisions to the secularization thesis. Students read works on North America and Europe that addressed such themes as capitalism, science, gender, totalitarianism, and the ways in which colonialism and globalization have shaped the face of religion in the modern West. The aim of the course was to enable students to distill, analyze, and evaluate historical arguments, bringing a historical and transnational perspective to bear on current debates about the role of religion in the modern world. This course is a requirement for all History majors at Harvard and introduces students to the skills of historical analysis and writing. The course is streamed by methodological approach, and I led three tutorial groups devoted to intellectual history. This involved working closely with students to bolster their practical writing and research skills by leading small group peer-review sessions, providing intensive feedback on both drafts and final copies of student papers, and working one-on-one with each student to help them develop and carry out a viable research topic. 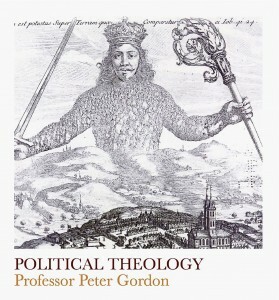 This lecture course, offered in Harvard’s General Education curriculum, enrolled nearly 200 students from a wide range of majors. As the Head Teaching Fellow, I oversaw the logistics of the course and supervised five other Teaching Fellows, while leading one discussion section of my own. Because the course attracted many students with little or no background in the humanities, I also developed and led a workshop on the nuts and bolts of essay-writing. 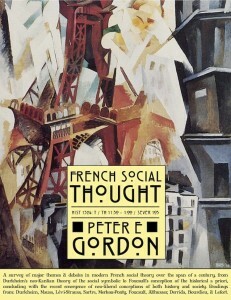 This lecture course introduced students to French social theory from Durkheim to Foucault. 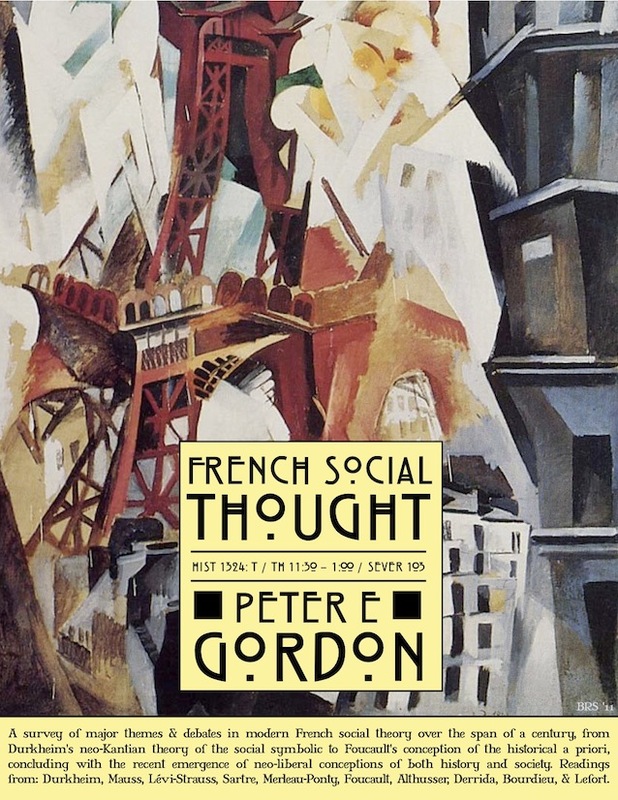 As the sole Teaching Fellow for the course, I taught three discussion sections, leading students through primary-source readings by Durkheim, Sartre, Merleau-Ponty, Kojève, de Beauvoir, Fanon, Lévi-Strauss, Foucault, Derrida, Althusser, and Bourdieu. 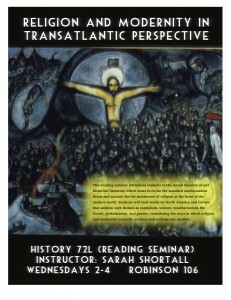 I was awarded the Harvard University Certificate of Distinction in Teaching for my work on this course. 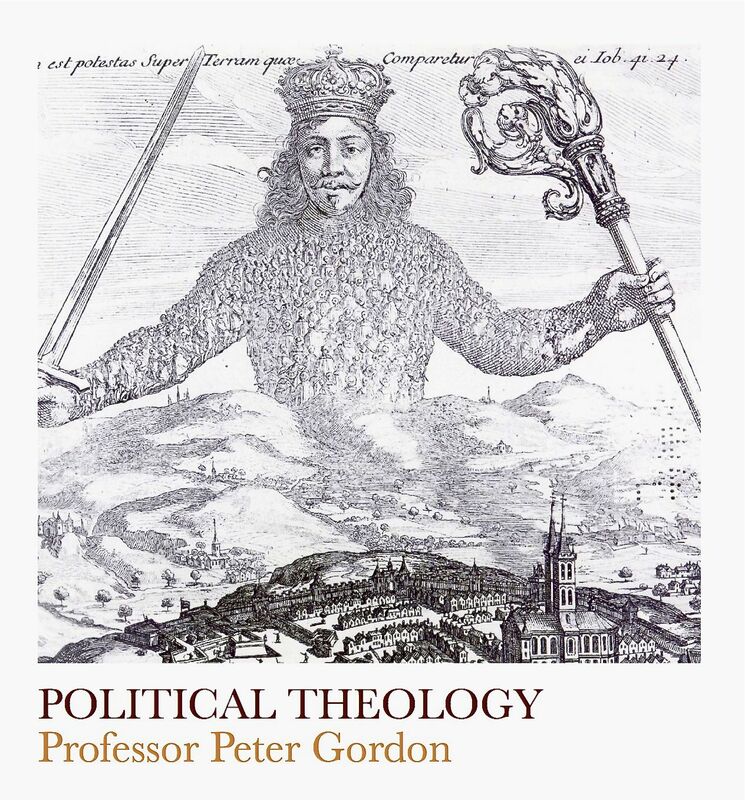 This advanced research seminar introduced students to key texts addressing the interrelation between religion and political theory in the modern period, including works by Schmitt, Kantorowicz, Freud, Weber, Lefort, Agamben, and Badiou. In addition to co-directing the seminar discussion with Professor Peter Gordon, I worked one-on-one with each student to help them develop and carry out a viable research paper topic.